This large, flat woven piece is soft and thin like a cover, but usable as a rug. Very fine work in wool. 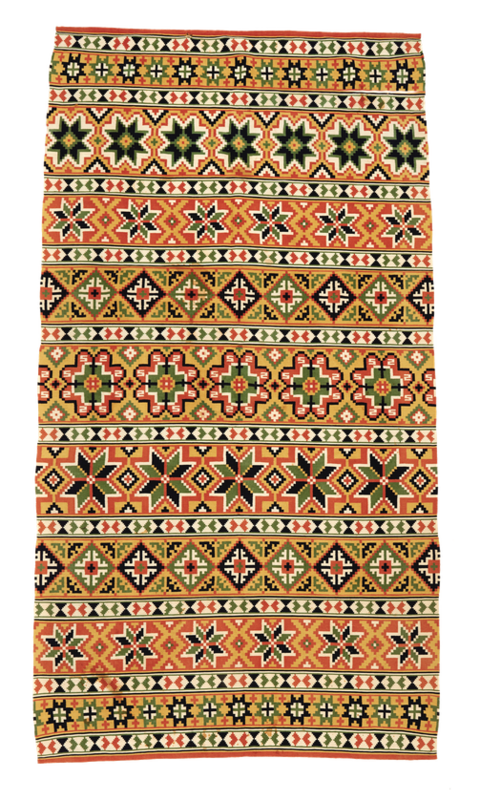 A mix of colorful, traditional motifs gives this piece a surprisingly modern touch. 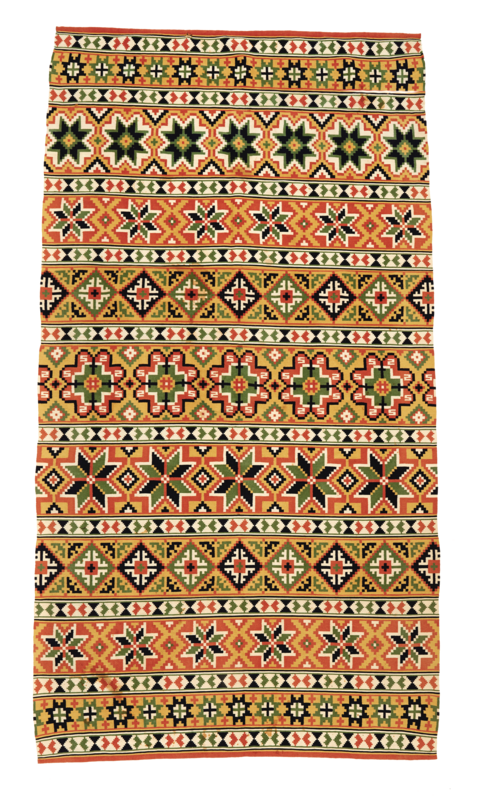 This rare example was woven in Sweden around 1890.